Inertia is a powerful force. It can keep you in that too-small apartment. It can keep you in the same town your whole life. It can stop you from doing things you really want to be doing. One city in New Zealand is hoping a little incentive might help a few lucky people break free from inertia. The city of Wellington is offering free week-long vacations if you agree to interview for a job. More specifically, they're looking for people in the tech industry. The burgeoning tech hub is looking for an infusion of talent. 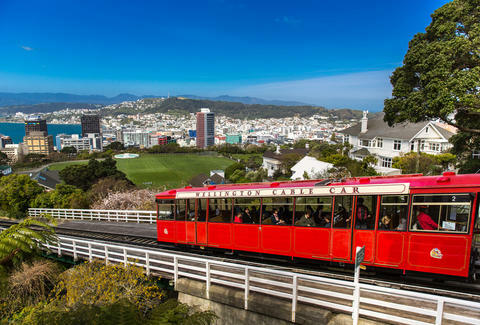 Companies in Wellington are hoping to hire 100 software developers, creative directors, product managers, analysts, and digital strategists from around the world. 100 candidates will be brought in for a week, over which they'll get to know the city, the industry, interview for a job, and get a feel for life in New Zealand. In addition to some informational sessions about the process of immigrating to New Zealand, there will be time to make sure it still feels like you're getting a vacation in. The interviews are scheduled to take place from May 8 through 11. If you want to get in, register at LookSee Wellington. Local tech firms will nominate their favorite candidates and LookSee will select the most nominated techies for a free week in New Zealand that includes airfare and accommodations. Applications are due on March 20.